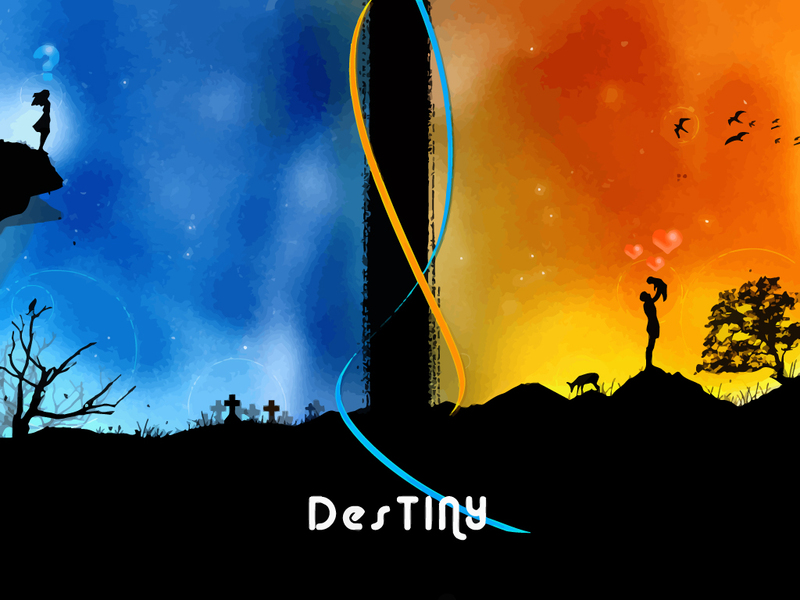 Free destiny illustration wallpaper, vector graphics illustrating the circle of life. Graveyard setting with dark sky suicidal girl and man holding his newborn baby against a clear sunny sky, with birds in the sky and love hearts all over. Download vector background illustration in vector wallpaper format. All images are copyright of the respective owners.